Worried about the crowed trekking trail in the peak season for Everest Annapurna Trek? Want to experience the luxury accommodation and services with Himalayas trekking? This Annapurna Everest Luxury Trek will ideal package for you. Annapurna Trekking Region are the most visited trekking region in Nepal followed by Everest Trekking Tails. In the peak season of Spring and Autumn the trekking trail get busy with hundreds of hikers and adventure trekkers. The business reach to climax on Everest Trekking Trail for spring seasoon between March to May because of Peak Climbing Groups and Trekking Groups. 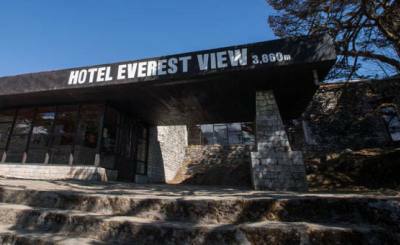 This Luxury Everest Annapurna Trek is for those who want to skip the busy trekking trail and busy Tea House and enjoy the peaceful nature and Himalayas Views with Luxury Comfort Lodge. The Comfort / Luxury Lodges of Ker and Downey in the Annapurna Region and Yeti Mountain Home in Everest region will provides luxury amenities for your accommodation with organic meals. 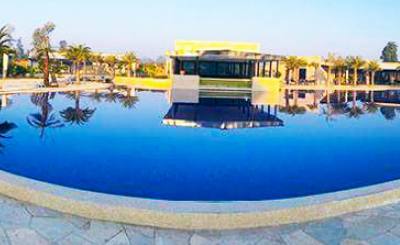 The peaceful environment helps you to enjoy the Nature and Himalayas. The benefits of this Annapurna Luxury Trek is no finished yet, this trek also represents as small circle that you do not need to hike the same trail again. Depends on your interest and nature of love to nature, you have 2 best season for Annapurna Everest Luxury Trek. For blooming red rhododendrons and other Himalayas flora and fauna you can choose spring season, the months of March, April and June. In addition you can meet the big dreamers of Everest summiter and their big crews on the trail. In this season the sky stay clear and blue till late afternoon and later on light clouds covers the Himalayas views. 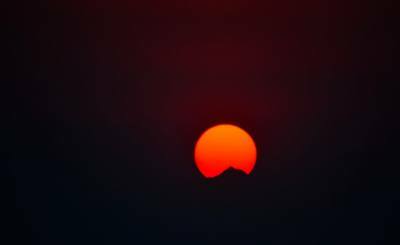 Furthermore, morning is beautiful with glowing sunrise and day are longer and warmer in compare to other season. While another busy and best season is autumn. This get active from mid September to late Decembers. Around this months the sky stay blue mostly and more snows on the trekking tails, hill and peaks. If you love snow and enjoy the cold Late December is idle for you. 14 night 15 days Annapurna Everest Luxury Trek Itinerary includes of 11 days trekking and flight, 2 days for your international arrival and departure and 2 free day in Kathmandu. This itinerary of Annapurna Everest Comfort Trek organized in such way to save your most valuable resource TIME. 3 Nights Gokarna Forest Resort as Itinerary in Kathmandu. 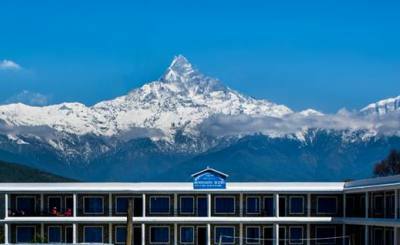 6 Nights YMH Comfort Lodges in Everest Trekking Region. 4 Nights Ker and Downey Luxury Tea House in Annapurna Trekking Region. Flight between Kathmandu, Lukla and Pokhara inclusive airport taxes. Everest National Park entry fees and Annapurna Conservation Area Permit. TIMS and Pasang Lamhu Rural Municipality fees of Everest Region. Government taxes, charges and VAT. English Speaking guide with supporter for ( 1 supporter for 2 guest ). Insurance, allowances, travel and fooding for guides and porters. Best land transfers between Pokhara with Phedi and Nayapul. Personal trekking gears, insurance, emergency cost and equiptements. Expencess of personal interest, internet, donation and supports. Nepal Visa fees and regading air travel issue, as flight cancellation. Price increased by nature and weather. 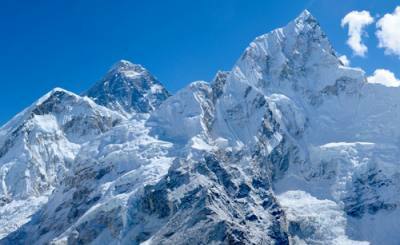 Tips for Luxury Everest Annapurna trekking guide and Porters. Othere topic not not covered in Cost Include Section. WHY THIS IS LUXURY DHAMPUS SARANGKOT TREK? This short trekking of Dhampus Sarangkot following the trekking trail along the ridges of Dhampus, Naudanda, and Sarangkot. We called this Dhampus Sarangkot Luxury Trek because of finest and best hotel to make your stay and trek luxury with all possible amenities in Pokhara and also in Trekking Trail. With Trekking Trail Nepal, you enjoy the Group Joining Annapurna Everest Luxury Trek as Fixed Departure for 2019, 2020 and 2020. Annapurna Everest Luxury Trek is the most Popular Luxury Trekking in Nepal which includes the first and second choice of trekking areas. This Annapurna Luxury Trek Part covers the beautiful lake city of Pokhara, While Everest Luxury Trek starts and ends in Historical and Capital City of Kathmandu. Come and Join Group for Annapurna Everest Luxury Trek in you Budget.